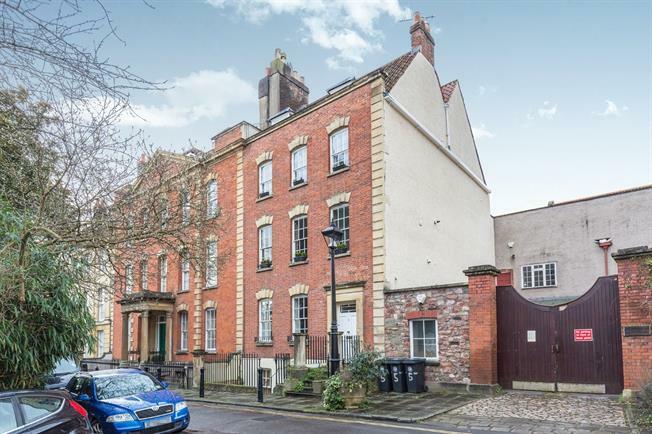 A beautiful period hall floor flat with direct access to a charming communal courtyard garden. Tucked away in a quiet Georgian Square but within easy reach of Clifton, the harbourside and the city centre, the property has a large living room, bespoke fitted galley kitchen with solid wood floor, double bedroom and bathroom with bath/shower. Sympathetically renovated by the owner, this flat offers a wealth of period features such as sash windows, shutters, a beautiful marble fireplace and access into the communal gardens at the front.